The SS was central to the German Third Reich. It was responsible for implementing the Holocaust, the mass resettlement of Russia and Eastern Europe and the enslavement of the working population of the whole of occupied Europe and yet many of its members were associated with anti-Nazi resistance and even attempting to seek a separate peace. It is these contradictions that Adrian Weale explores in the most comprehensive history of the SS for forty years. It is based on newly-released files in British, German and American archives and interviews with key members of the SS including the last surviving General of the Waffen-SS and the former head of the foreign recruitment department.
" 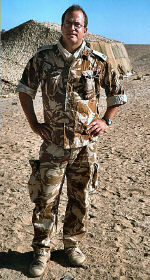 Adrian Weale's military background enables him to bring an informed perspective to an organisation which has often lent itself to flights of sensationalist fantasy. His is a very sober account based on an impressive range of research. Weale's style is spare and compelling. He deftly evokes the various personalities involved in a paramilitary army which shrouded itself in bureaucratic acronyms. Above all, perhaps, Weale elucidates the warped values which enabled this sinister organisation to commit some of the worst crimes in recorded human history. 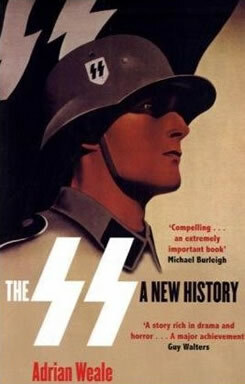 This is an extremely important book which I recommend most highly"
" …a meticulous account of the emergence of the SS from its origins as Hitler’s Schutzstaffel (protection squad) to the huge, ungainly beast that it became…certainly is new because the author has got stuck into the archives…provides much that is fresh and useful." " exceptional new book…this fine book." "...well-constructed and well-paced, providing an easy-reading account of the salient points in the story." "…a sure-footed guide in disentangling those myths from the reality…a readable, well-balanced account of this most sinister organisation…"
"Weale is an assiduous researcher and has scoured a number of archives to find genuinely new and unseen material; certainly there is no doubting the authority here. Yet it is accessible and highly readable too, and no doubt will become the standard work on this sinister and warped organisation for many years to come."